You don’t start a relationship by popping the big question on the first date. Many IT professionals find their way to Easy Software Deployment. 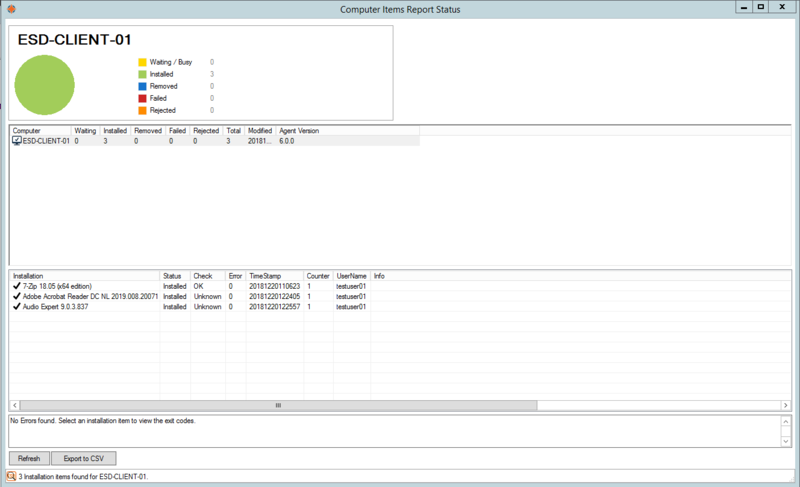 Some are using Microsoft’s SCCM and experience that it lacks the specific functionality they need. SCCM also isn’t easy to use at all. Others used PDQ Deploy and found that it cannot deploy anything user based. Whatever your needs are for your context, we want to help you make the decision that fits you best. 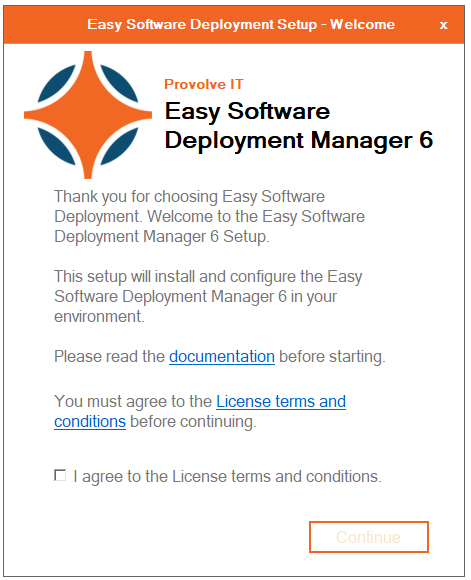 Easy Software Deployment is valued for being a professional approach to all deployment and update challenges on Windows devices. Our customers are IT professionals from all sectors and Managed Service Providers who care for their client’s systems. They benefit greatly from using Easy Software Deployment as a time- and cost saving tool that gives them control and flexibility in an easy way. But don’t take our word for it; listen to our customers’ stories. 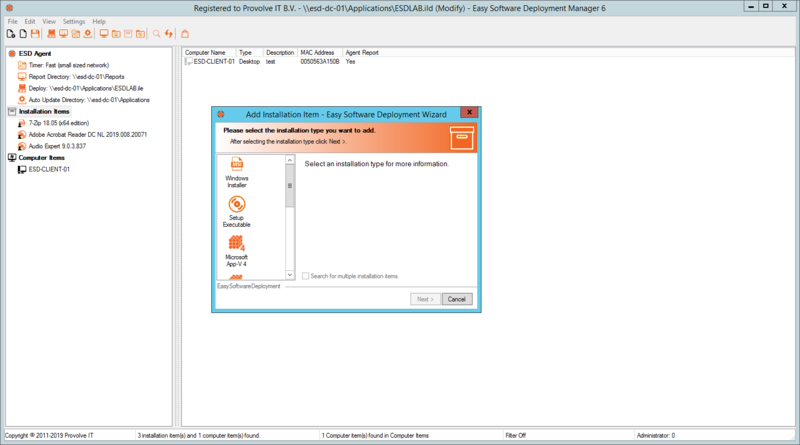 Learn why IT manager Frank van het Hof chose to purchase Easy Software Deployment despite the fact that he was already using Microsoft SCCM. In order to quickly find out which deployment software does what, we’ve made a comparison matrix for your convenience. In it you will find the features we see a lot of demand for and who meets them best. Besides deploying to computers, you can also target and deploy to specific users and user groups (with or without Active Directory). 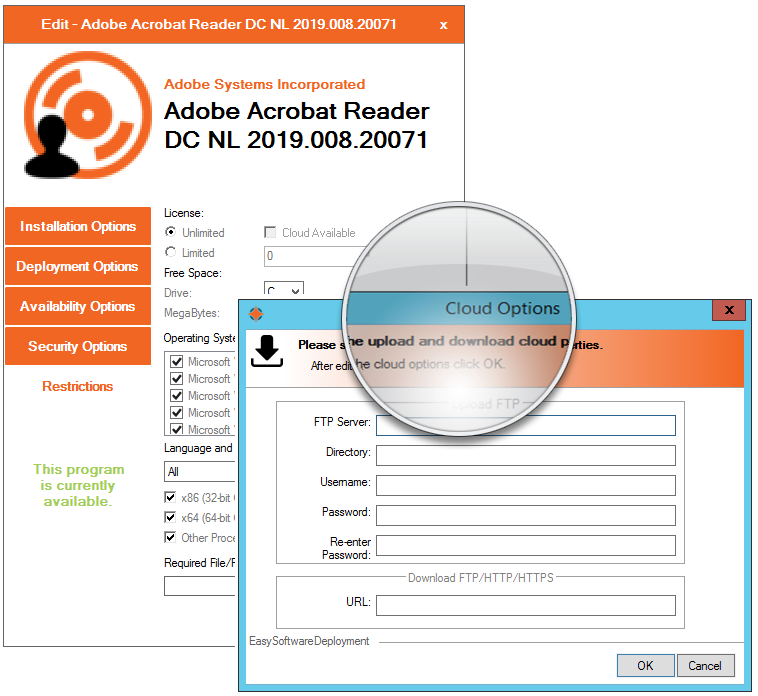 Set an installation to install automatically at login or to be installed on demand. Add control script actions to manage the user workspace and apply application configuration on the fly. 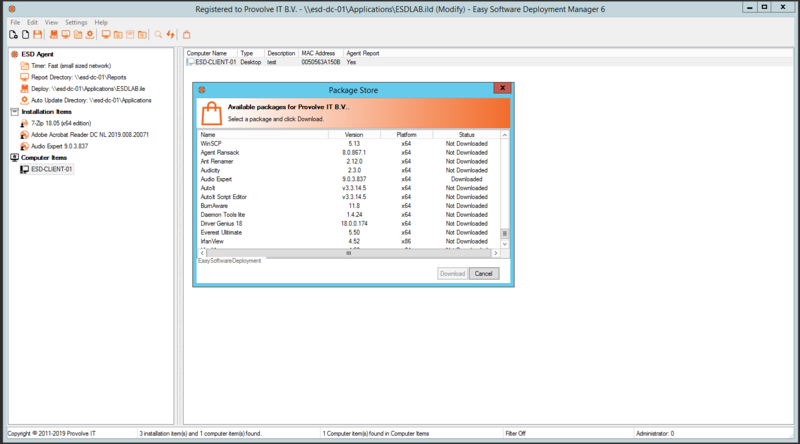 MSI, EXE, App-V, ThinApp, Shortcuts and Scripts, literally everything that can run on Windows can be deployed through Easy Software Deployment. Within seconds of adding your application it will be installed on your Windows devices. Configure the applications you want to be available when off the company network with our easy to set up Cloud Options. Software Metering allows you to view who is using what software at a glance. This way you’ll never pay for licenses that are not used. No need to install databases or configure, optimize and manage. No back-end servers needed to install and host. Just a file share or two and you’re ready to rock & deploy! 1000+ generic software packages ready to distribute. We keep it up to date for you. Simply choose and deploy is the only thing you need to do. 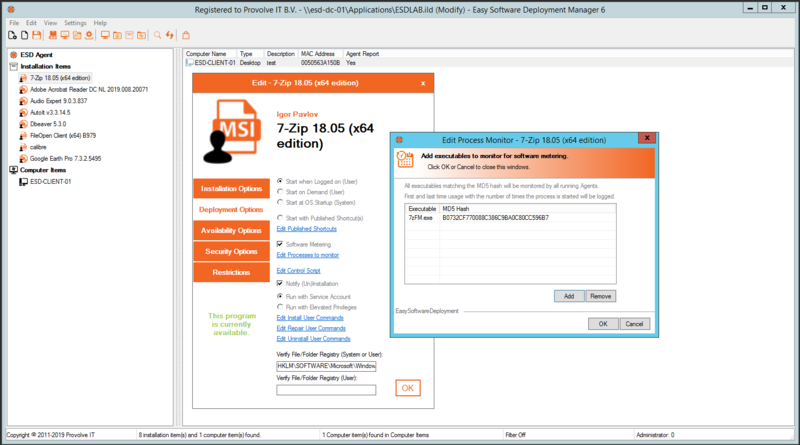 Easy Software Deployment supports VBS, PS1, CMD, BAT, App-V, MSI, EXE, ThinApp, shortcuts and scripts. In other words, there is no need to re-package or alter the original software. Our goal is to make deployment easier and solve difficulties for you so you can focus on your work. This is why we provide a free online session to help you implement Easy Software Deployment after you purchase it. Also, our support is standing by to assist you if you run into any questions. This is included in your license fee; there are no hidden charges along the way. Check out our pricing here. We are convinced of the value we offer with Easy Software Deployment and would love to show you more. Fill in the form and you’ll receive licenses for free: valid for 30 days. Managed Service Providers use Easy Software Deployment to cut costs and help their customers more efficiently. System Administrators use Easy Software Deployment to get more done in less time. We are a team of experts in application packaging, virtualisation, deployment and system administration in Windows contexts. Our solutions help Managed Service Providers and System Administrators to save time and costs, so they manage their systems with more control, flexibility and ease.